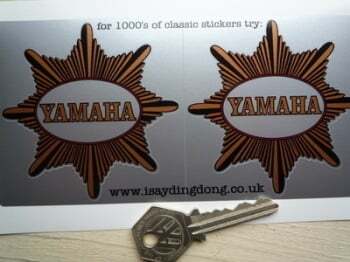 Yamaha - I Say Ding Dong Shop - Buy Stickers, Decals & Unique Automobilia. 2 Stroke Pre-Mix Ratio Petroil Mixture Motorcycle Stickers. 35mm Pair. D.I.D Motorcycle Oval Chain & Rim Sticker. 4". Dunstall Racing Oval Sticker. 3". 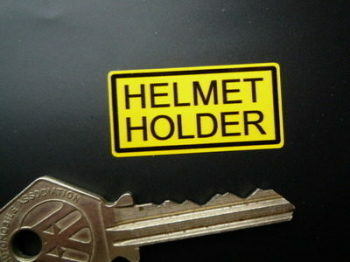 Helmet Holder Style 3 Classic Japanese Bike Stickers. 30mm Pair. Isle Of Man TT Races Castrol 1980 Yamaha Sticker. 84mm. NGK Spark Plugs Round Stickers. Set of 4. 1". Seeley Orange & Black Stripey Text Oblong Sticker. 11". Seeley Race Developments Oval Stickers. 42mm Pair. 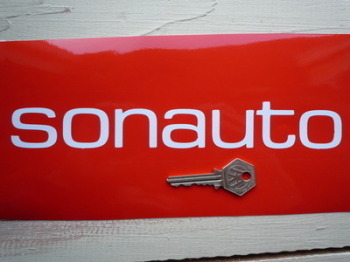 Sonauto Cut Vinyl Text Stickers. 9.5" Pair. 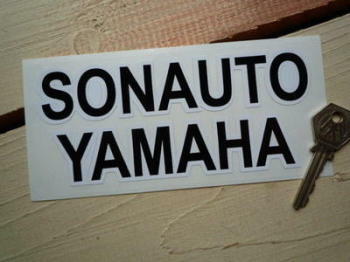 Sonauto Yamaha Black & White Text Sticker. 6". Stink Wheels Rule Flag Waving 2 Stroke Rider Sticker. 4". 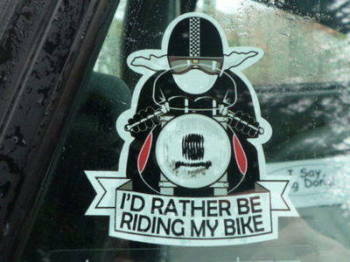 Think Bike! Self Adhesive Vinyl Car Sticker. 6". Wheel ID Stickers. Various Colours. 20mm. Set of 4. Wheel Rotation Direction Arrows. Various colours. 1.5". Set of 4. Yamaha Black & White Speed Block, Speed Ladder, Stripe Style Stickers. 14" Handed Pair. 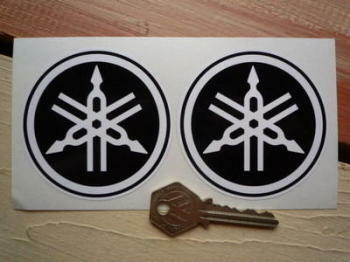 Yamaha Black & White Tuning Forks Circular Stickers. 3" or 4" Pair. 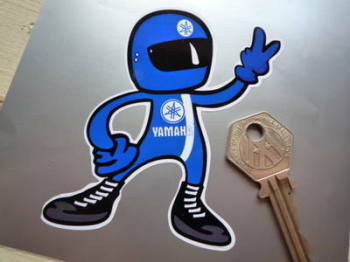 Yamaha Blue Rider 2 Fingered Salute Sticker. 3.5". 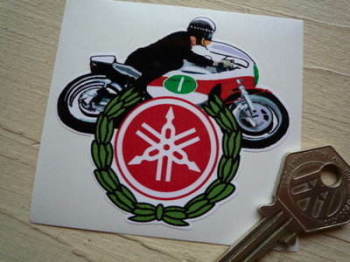 Yamaha BSA Star Style Stickers. 3" Pair. Yamaha Champion Spark Plug HT Cap Cover Badges. 29mm Pair. Yamaha Cut Vinyl Text Stickers. 4", 6" or 12" Pair. 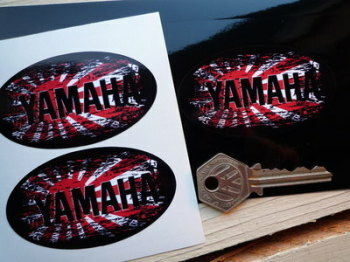 Yamaha Cut Vinyl Text Stickers. Style 2. 120mm Pair. Yamaha Fade To Black Hinomaru Style Sticker. 6". Yamaha Fade To Black Hinomaru Style Stickers. 3" Pair. 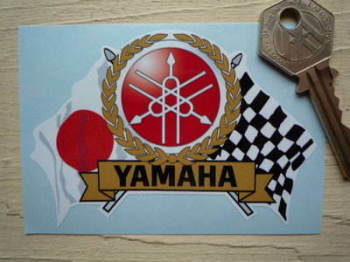 Yamaha Flag & Scroll Sticker. 3.75". 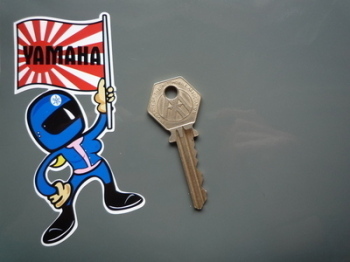 Yamaha Flag Waving Babe Sticker. 4". Yamaha Full Face Helmet Blue Cafe Racer Sticker. 3". Yamaha Full Face Helmet Yellow Cafe Racer Sticker. 3". 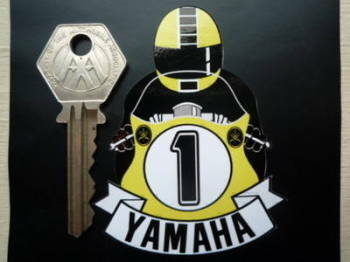 Yamaha GP Racer & Garland Sticker. 2.75". Yamaha Japanese Flag Style Helmet Visor Sunstrip Sticker. 12".